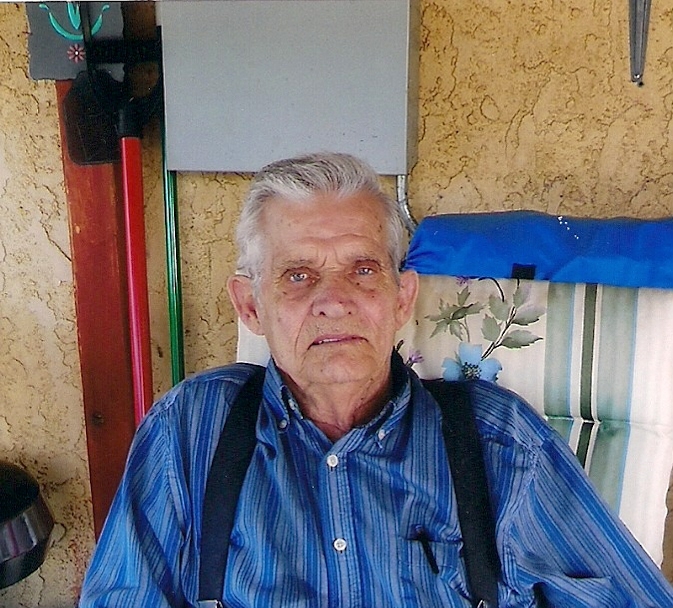 James “Jim” Newton Nance, 87, a long time Salida resident, died Friday, November 23, 2018 at his home, surrounded by his family. He was born on August 3, 1931, in Cantrall, Illinois, to George and Marie (Workman) Nance. Jim married Regina Aragon on April 25, 1953 in Salida, Colorado at St. Joseph Church. They were married 61 years. She preceded him in death in 2014. One of many of Jim’s hobbies was trap shooting. He was a member of the Salida Isaac Walton League, Salida Gun Club in the late 1960’s and early 1970’s. He and his wife also enjoy bowling on couple and team leagues in the fall and summer. In November 8, 2014, he was inducted in the Chaffee County USBC Hall of Fame for his dedication and tireless efforts to promote the sport of bowling. Mr. Nance loved to fish, but his top of the first hobby was duck hunting which he enjoyed until the early 2000’s. He was always ready with shot gun in hand whenever “duck hunting” was mentioned. His second best hobby was his video work which he started in the late 1980’s. He videoed many school programs, Christmas programs, Kindergarten graduations, Calliope Productions and church programs. His cameras were always charged when he knew a program needed to be videoed for someone, especially a little person. Jim worked at The Home Bakery in Salida and at Johnny Berndt and Sons in Salida. In early 1960, he began working at the Salida Post Office as a sub-mail carrier, before finally becoming a regular mail carrier nine years later, a position where he retired in 1991 after more than 27 years of service. He served in the U.S. Army from 1950-1953 during the Korean War. He was a Staff Sargent. Mr. Nance was a member of the St. Joseph Catholic Church, Knights of Columbus, past member of the Salida Elks and past member of the Salida Bowling Association. He loved to watch the Broncos, the Rockies and Nuggets with his son, sons –in-laws and grandsons, loved to visit his daughters and sons-in –laws in Elko, Nevada and Ft. Lupton, loved trips to Cripple Creek, but most of all, loved to be surrounded by his family and friends. Jim is survived by his children Joyce (Robert) Reno, Salida, Mike (Julie) Nance, Salida, Mildred (Gary) Hart, Elko, Nevada and Rose (John) Hoag, Ft. Lupton, Colorado, brother Charles (Viola) Nance, Petersburg, Illinois, sisters Frances Nicholson, Springfield, Illinois, Betty (Bob) Dowell, Springfield, Illinois, and Mary Zorn, Peoria, Illinois; sisters-in-law Irene Schwitzer, Salida, Carmen Aragon, Denver, Colorado, Sarah Aragon, Espanola, New Mexico; Grandchildren Amanda (Jason) Anthony, Elko, Nevada, Katie (Austin)Nance The Dalles, Oregon, Tisha (Troy) Morgan, Salida, Tracey (Curt) Nichols, Poncha Springs, Aubrey Hoag, Ft. Lupton, Brett (Jennifer) Hoag, Thornton, Colorado, Gary James Hart, Elko, Nevada, Mark (Katie) Hoag, Lochbuie, Colorado and Matthew Nance, The Dalles, Oregon; Greatgrand children Jordain Nichols, Poncha Springs, Brian Morgan, Salida, Aaron Morgan, Salida, Morgan Nichols, Salida, Danielle Morgan, Salida, Alaura Romero, The Dalles, Oregon, Houston Miller, Ft. Lupton, Colorado, Abella Romero, The Dalles, Oregon, Stanley Hoag, Thornton, Colorado and Bethany Hoag, Lochbuie, Colorado and many nieces and nephews and many great and great-great nieces and nephews. Recitation of the Holy Rosary will be held 10:30 AM Friday November 30, 2018 at St. Joseph Catholic Church. The Memorial Mass will follow at 11:00 AM. Interment will follow in Fairview Cemetery. In lieu of flowers, memorial contributions can be made to the Knights of Columbus, St. Joseph Helping Hands, American Cancer Society or Heart of the Rockies Home Health and Hospice through Lewis and Glenn Funeral Home.